I was first inspired to take up martial arts in the mid 1960's by an actress called Honor blackman who appeared in the UK TV show "The Avengers." Honor was actually a black belt in Judo and as a kid watching her show I was so impressed at the way she could fling people around like rag dolls and I just had to learn how to do that. In 1966 at the age of ten I started training in Judo at a nearby club. Judo served me well against playground bullies who I encountered a lot of during my school years and also enhances my karate training to this day. At the age of 17 I decided to take up training in Karate and joined a club in Redhill Surrey, UK. The style was Kyokushin Karate and I have never regretted the foundations of karate basics I learnt practising this style of which are applicable to any style of karate. I emigrated to Australia in 1977 and in 1986 I began training in Goju Ryu Karate at the newly opened Capel Club under the guidance of Alan Burdett Shihan. Due to my previous Karate training and training 4 nights a week in Goju at Shihan Burdett's Clubs I achieved my 1st Dan Blackbelt in late 1987. In 1988, Doug Harwood Sensei of Eaton Club, due to the work commitments, had to relocate to Mandurah and invited me to take over the Eaton Dojo as Sensei. A commitment I carry on to this day with the support of assistant instructor Stephen Sawyer Sempai. 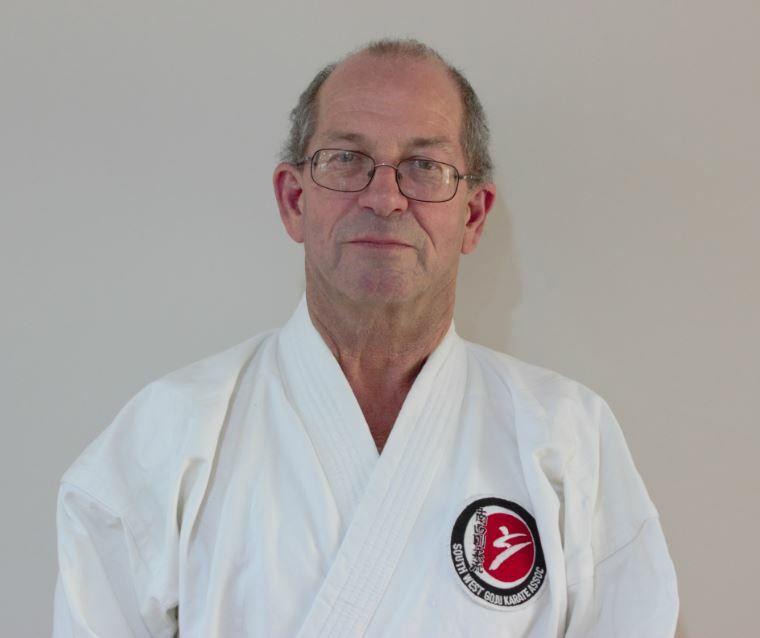 Stephen Sempai 3rd Dan has assisted with teaching at the Eaton Dojo for many years. Both Stephen and I like to teach the self defence aspect of Karate with a streetwise appeal. We welcome you to come and train with us and learn the art of Goju Ryu Karate-Do.